Finally, after many visits to Mallorca on family holidays, where I had admired the quality of the roads for cycling, I managed to get a few days of dedicated cycling as part of the mini training camp with my Cappuccino Cycling Club. The trip was booked way back in September 2014, but as 12 of us gathered early on the morning of 16th April at a cold and dreary Leeds Bradford Airport, there was much excitement and anticipation of what lie ahead over the coming 4 days. Thankfully, the flight was on time and after some sustenance, we were airborne and on our way. Most of us had taken our own bikes, and were delighted to see them all come out at the baggage reclaim in Palma airport before getting on our transfer coach to our base, the Pollensa Park Hotel in Puerto Pollensa. The transfer was quick and after unpacking, it was time to build our bikes ready for a sneaky leg stretch to Cap de Formentor. Our first ride of the weekend was to make sure everything was in working order, by taking a stunning out and back route to Cap de Formentor lighthouse, which is the most north-easterly point on Mallorca. The ride has a gentle start to get the legs warmed up, before ascending the Coll de Sa Crueta, heading north away from Pollensa. The Crueta is just over 3.5km long at an average gradient of 6%, category 3. The descent down the other side towards Formentor village is quite technical before the road changes direction and rolls towards the lighthouse, hugging the coast and clifftops at certain points. Eventually, after about 50 minutes of cycling we turn a corner and are greeted by the stunning view of Formentor Lighthouse being lit up by the evening sun. We stopped and admired the view, had our first group photo and then hopped back on our bikes for the return trip. The ascent of the Crueta on the return is slightly harder, the distance is similar, but the gradient is closer to 7%, which is noticeable in the legs. The descent though, back down into Pollensa is less technical and really gives you the chance to let the bike run and get up some good speed. Before we knew it we were back in Pollensa and having a quick post ride beer at Pro Cycle Hire (PCH), which was opposite our hotel and was to become our ride meeting point for the rest of the weekend. Dinner and banter were in the hotel this evening, before most retired early to get some rest for Sa Calobra on day 2. The big one! 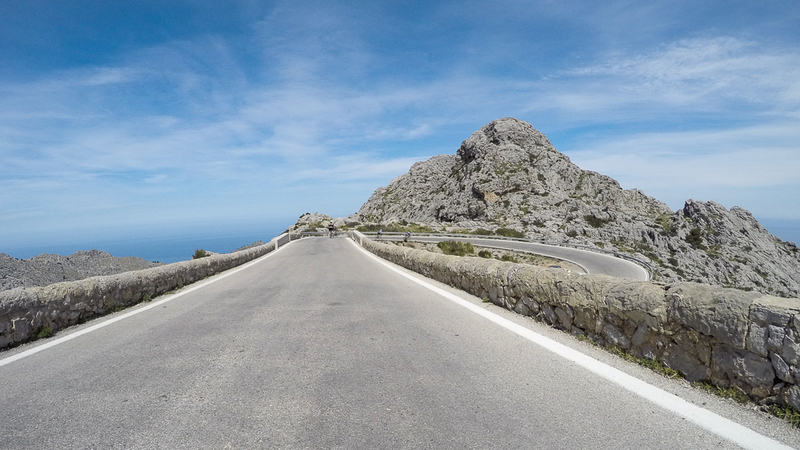 Sa Calobra is one of cycling’s iconic climbs, but has never featured in a major pro race as you have to descend it, before turning around and coming back up it! 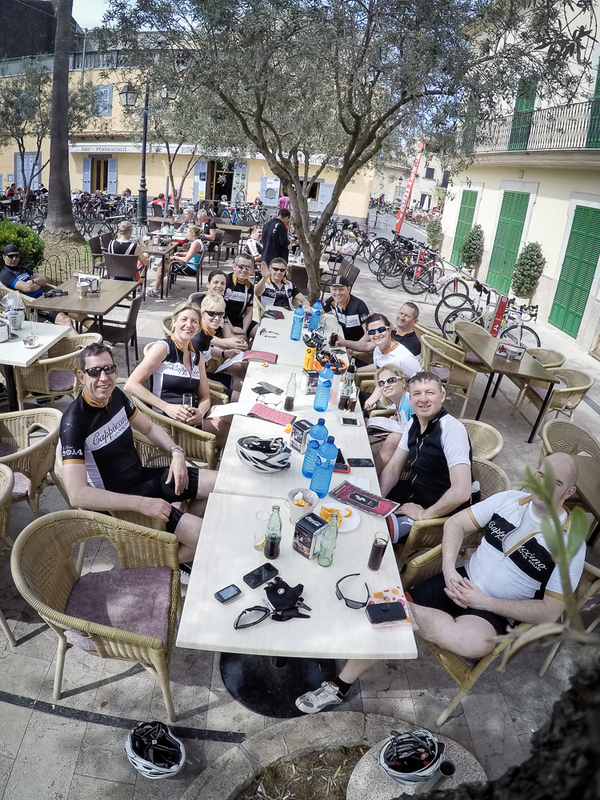 We all met at PCH for a quick pre-ride coffee before heading out at a sedate pace on the road out of Puerto Pollensa heading towards our first climb of the day, the Coll de Femenia. The Femenia is 7.7km long at an average of 6%, category 2. It is a beautiful climb up towards Lluc Monastery, with a nice even gradient most of the way up as you head into the mountains. 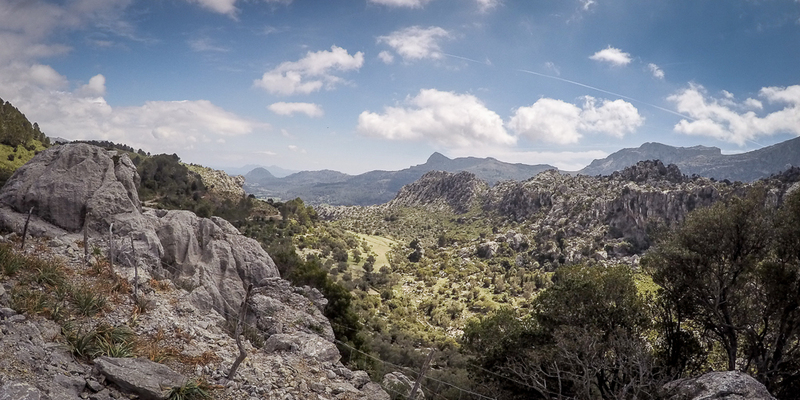 A quick look over the shoulder rewards you with stunning views back down towards Pollensa. After bagging the Femenia, we pushed on past Lluc Monastery before having a quick coffee stop at the cafe at the top of the Coll de Sa Batalla. At this point we had lost Jean and Andy, who had pushed on to find another cafe. After this quick refuel we headed further up into the mountains before going underneath the aquaduct and turning right up the short Coll del Reis to start the descent of Sa Calobra. 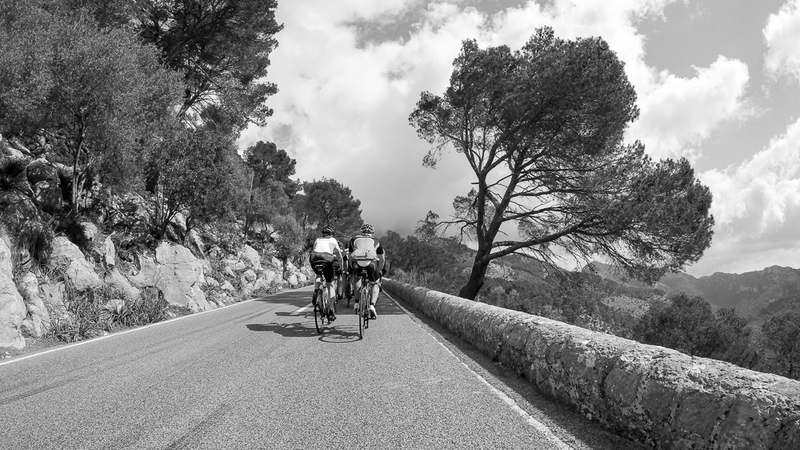 The Coll del Reis (southside) is only a short, 2.5km category 4 climb that averages 6%. 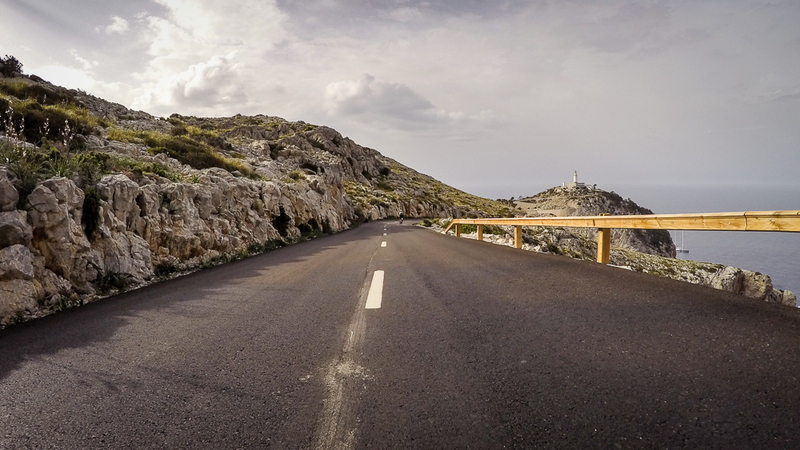 From the top of the Coll del Reis you quickly approach the spiral road that marks the top of Sa Calobra. The 10km descent down is very technical with 26 hairpin bends. It took me 18 minutes to descend from 682m to sea level and the experience can only be described as breathtaking. Unfortunately near the bottom, another cyclist had come off their bike in what looked like a serious crash and were waiting for an ambulance. This was a wake up call for all of us to ensure we gave these roads the respect they deserve. After a quick group photo at the bottom it was time to point the bikes back uphill for the 10km slog, back up “The Serpent” with a gradient that would average 7%. This was going to be my biggest cycling challenge to date. I engaged my 34/28 gear ratio and quickly found my rythmn – dead slow! The climb is more about mind-over-matter, and taking it one bend at a time, rather than thinking about looking up at your destination. 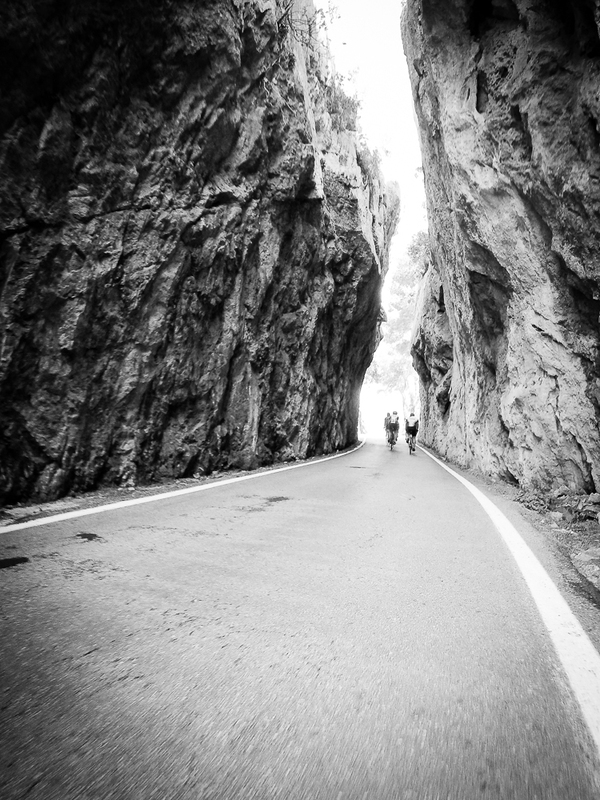 Soon after the start you cycle back through an amazing rock crevasse and the road keeps twisting and turning and going up and up for what seems like an eternity. I was feeling OK for the first 8km, but as I approached the final, slightly steeper section of hairpins I could feel some cramps in the calves. The heat was starting to take effect. It was about 26 degrees, but the geography means that Sa Calobra is more like a cauldron, with the sun bouncing back off the rocks. I thought I had got my nutrition OK up until now, but I was starting to run on empty and just after rounding the last hairpin bend, I had to jump off my bike with biting cramp to try and stretch it out. Thankfully it was not too bad and after about a minute of stretching, I was back on and steadily moving towards the spiral, where I met up with Elaine and Catherine again who had waited for me. 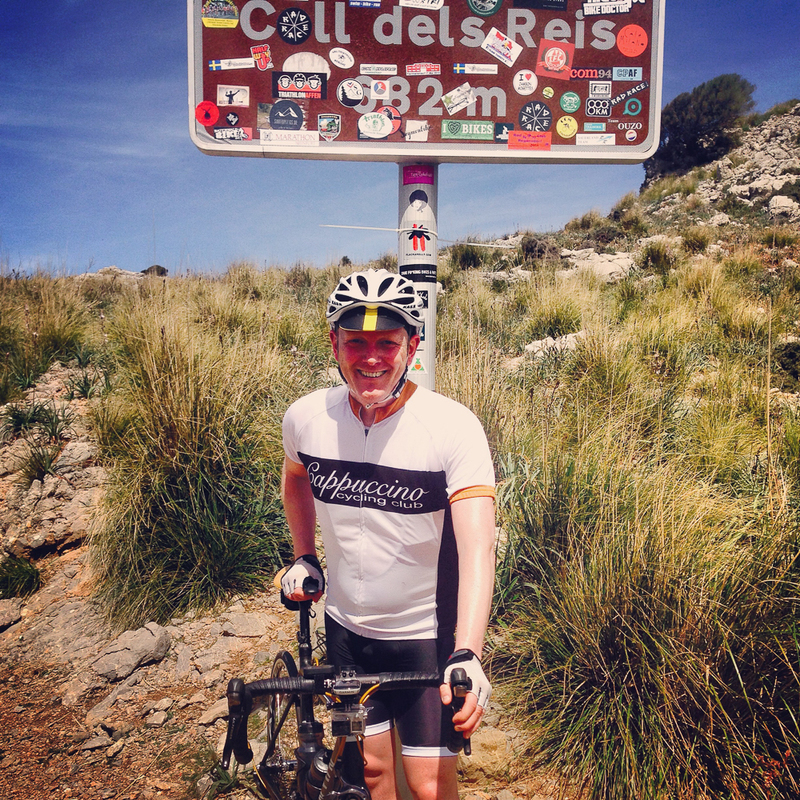 After a quick can of Coke at the cafe, I climbed the final 500m back to the top of the Coll del Reis for the obligatory photos by the sign. Sa Calobra had been bagged and I was feeling very empty and also quite emotional. It was then time to head to a cafe for some serious re-fuelling. After a good lunch stop, we headed back towards the cafe at Sa Batalla and descended the Coll de Sa Batalla, which required all of our powers of concentration. The descent was technical, but it made me want to come back and climb it before the weekend was out. From the bottom of the Sa Batalla, the route back to Pollensa was flat through Campanet. We took a wrong turn however on the way back, which took us down to Alcudia, before we came back along the coast road for much needed beer. Dinner once more was taken in the hotel and this time a few post dinner drinks were had at the Palms Bar. After yesterday’s leg battering, it was time for some recovery with a nice flat gentle ride to Petra. 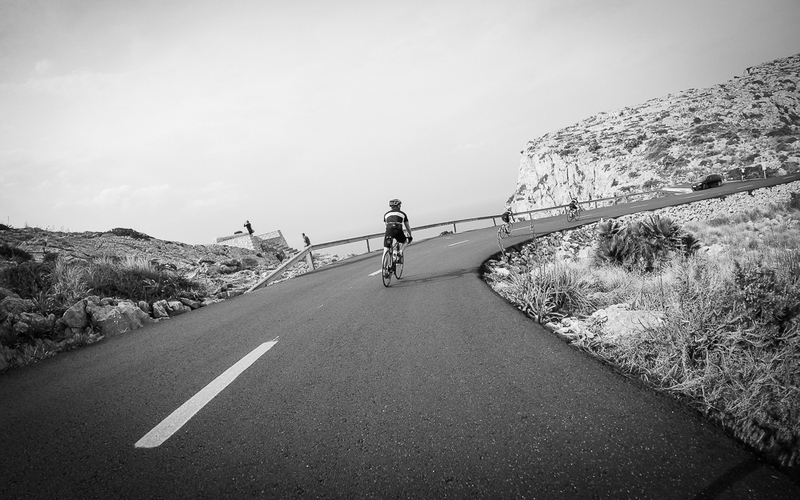 Petra is one of Mallorca’s main cycling destinations toward the centre of the island. 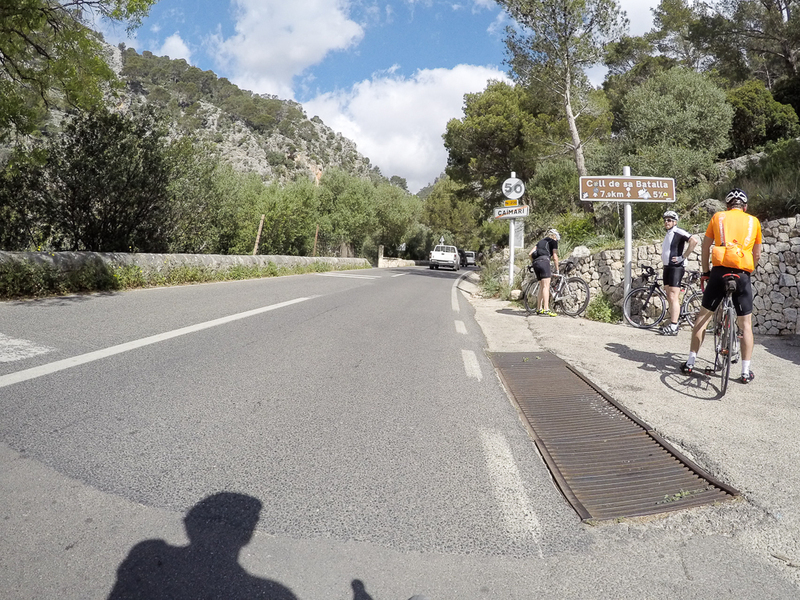 The route was loaded into everyone’s GPS devices and after a more leisurely coffee at PCH, we set off in the direction of Alcudia and out into the back roads towards Sa Pobla and Sineu. It was in Sineu that our GPS’s all started giving different route options, which sparked some good debate, but we soon found a sign for Petra and were back on our way. The pace was comfortable as we rolled through the Mallorcan countryside and before we knew it we were approaching Petra ready for some lunch. We found the main square where we were greeted by an amazing selection of cafes and restaurants. We settled on one, plonked down and ate our way through the menu. Dave had noticed that there was a Rapha shop in the square, which was tempting, but after a couple of hours of enjoying the hospitality, we thought we had better get back on our bikes for the ride back to base. 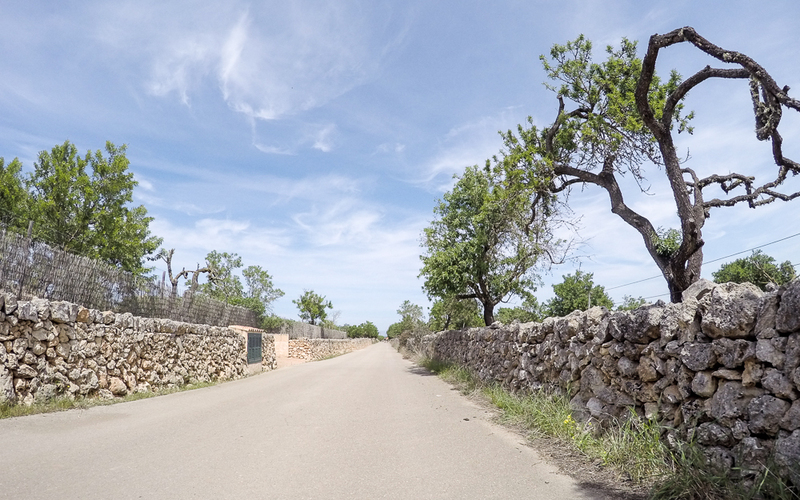 The route back took us towards Santa Margalida, through some lovely dry-stone walled olive groves to the coast at Can Picafort, before heading up to Alcudia and Pollensa. That evening a few of us formed a splinter group and headed out for a pizza, before all meeting up afterwards for a few beers at a bar near the hotel. 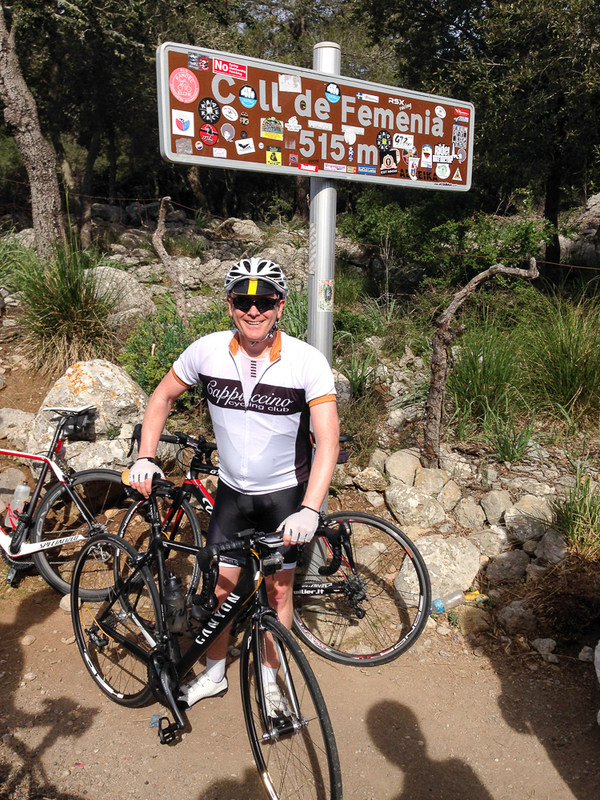 After consuming a few too many G&T’s the night before, I was feeling pretty tired and ropey, so decided not to do the full Soller ride and instead ride with the group to Selva before heading up the Coll de Sa Batalla. The ride to Selva was nice, following the back lanes to Campanet and then onto Selva, where I left the main group and was also joined by Luke and Cathy. We had a quick coffee stop in Caimari, which is a small village at the foot of the Sa Batalla. The climb of Sa Batalla is a category 2 climb, which averages 5% over 7.7km. The Sa Batalla, can only be described as stunning. 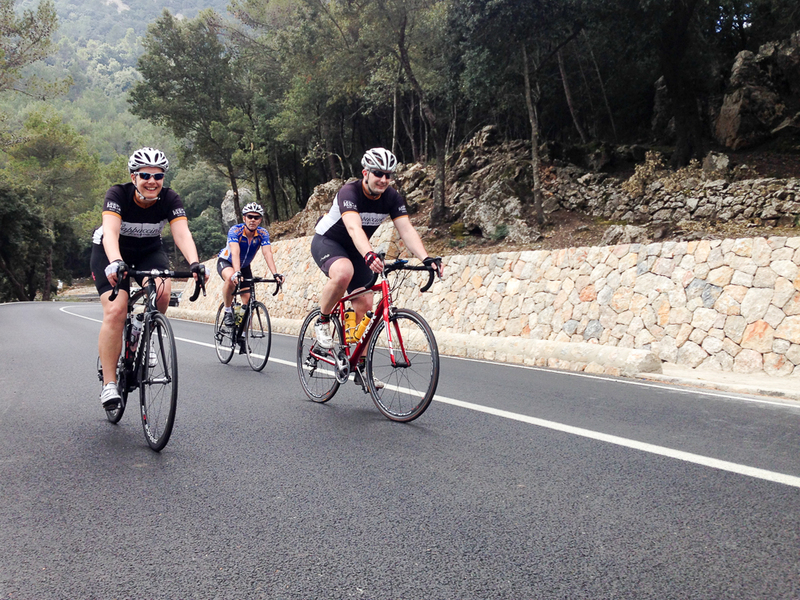 It is quite an easy climb on the legs as it winds up through the wooded slopes of the Tramuntana mountains. The shade was nice relief from the sun. About 2/3 of the way up, the climb levelled out and the road followed a cliff edge, which gave stunning views back down to the valley below. It was then time for some more hairpin bends and before I knew it, I was at the top and back at the cafe waiting for Luke and Cathy who arrived about 10 minutes after me. By now some cloud had descended on the mountains, so it was time to get the gilet’s on and head off to our lunch destination at the Lluc Monastery. We found a quiet cafe at the entrance to the monastery, where we refuelled. After lunch we took a quick look at the impressive monastery building before heading towards the top of the Coll de Femenia. The descent down the Femenia was fantastic, starting off quite technical, before the bends eased and the bike could be allowed off the leash. We were quickly approaching Pollensa old town, where we decided to have another coffee stop at of lovely hotel in a tiny side square. Cathy and Luke indulged themselves with some traditional Mallorcan cake before we headed back into Puerto Pollensa and our hotel to get ready for our last night party. 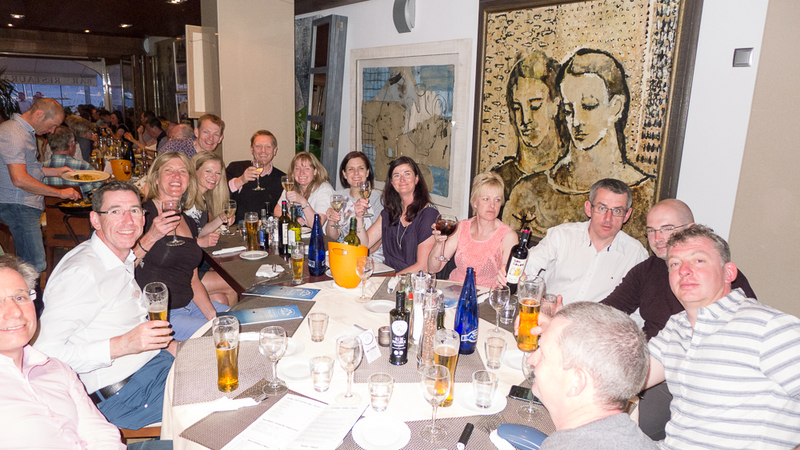 The main group were quite late back from their Soller ride, so we had to delay our meal, but after meeting for some drinks at Palms Bar we all headed off to Tolos to eat some good food and to celebrate a fantastic weekend of cycling. The food was great, but the local firewater, which tasted like Ouzo was not! The banter was also free flowing and after admiring Wiggo’s TDF winning bikes, we stumbled back down the seafront to a late night bar, where the celebrations and drinking continued. Monday 20th April was such an anti-climax. We all woke with hangovers and the thought of having to get back on the bus to the airport was not very inviting. After some very lazy coffees at PCH it was time to say goodbye to Jean who was staying on for a few days and head to the airport. The journey home was not simple though. Whilst waiting at the gate to board, Luke came charging down to tell us that Pete had lost his passport and could not get through security. This was a real downer as Pete had to miss the flight and stay another night to get an emergency passport so he could return home the next day. 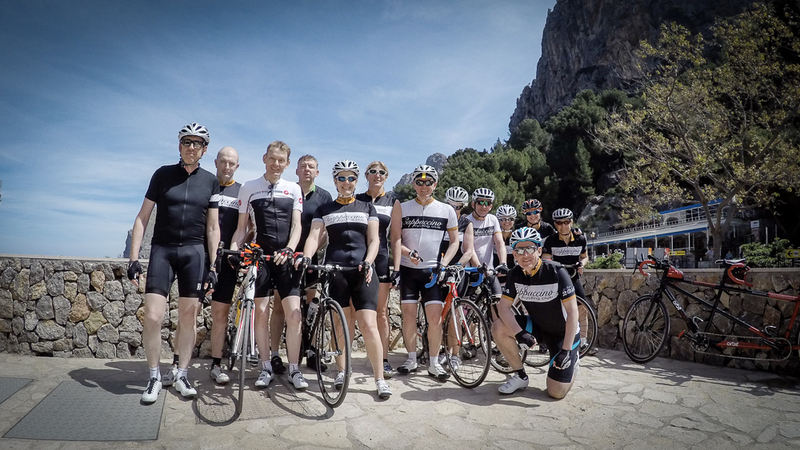 I was lucky enough to share the experience with a great bunch of people from the Cappuccino Cycling Club. I’m not going to name them individually, but you know who you are and chapeau to you all.